Omarosa Manigault, assistant to President Donald Trump, went shopping for bridesmaids dresses, only to find that some other women in the store were not down with shopping in the same place as the high-profile Trump advocate. Omarosa announced last summer that she was engaged to Florida pastor John Allen Newman and will appear on an episode of "Say Yes to the Dress" later on. But not everyone has been offering warm congratulations and wishing her happy nuptials. At around 6 p.m. at Nordstrom, Omarosa told employees there that she was being harassed by two women. "These fat ladies won't stop following me," a tipster told the Washington Post that Omarosa said to the employees. 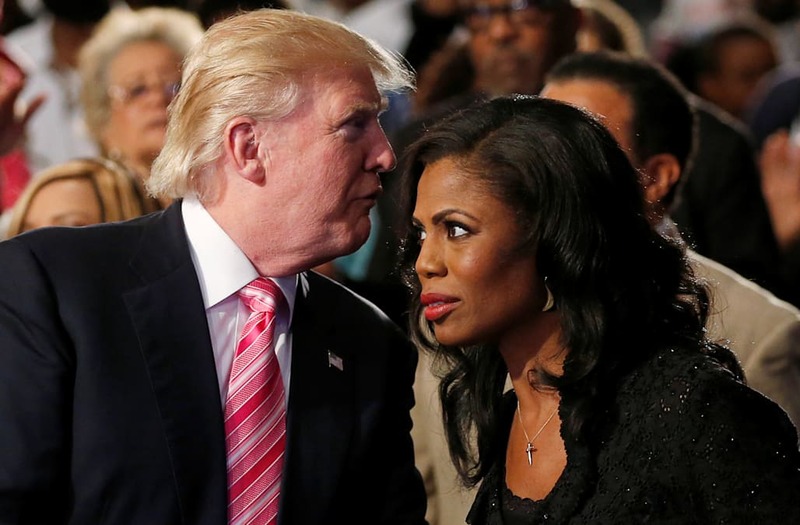 "They were letting her have it," the witness continued, saying that the women called Omarosa "Trump's whore" before Omarosa asked that security be called to deal with the problem. Security was then called as about a dozen onlookers watched. They escorted Omarosa, who recently injured her foot and has been walking around with the help of a cane and a boot, to her car before confronting the two women who had been harassing her and asking them to leave. The women complied.